I’m a sucker for traditional old school markets and shopping. We like to buy fresh ingredients, cook them at home and do the same thing the next day. Don’t get me wrong; I load up at Costco just like the next guy. With a family of five there are some items I need in bulk. But we put a lot of thought into the meals we cook and the produce we use, and that’s why we like to buy fresh. Two favorite spots of ours are the two Newport Beach farmers markets. On Saturdays, the Corona del Mar farmers market is the place to be. It operates at the intersection of Pacific Coast Highway and Marguerite between 9am and 1pm. On Sundays we will head to the Lido Village Artisan Market, which operates from 9am to 2pm. That market is off of Via Lido at Via Oporto. If you like fresh fruits and vegetables, these two spots are must visits. You can grab a coffee, walk the streets and enjoy the ocean air, while you sample some of the offerings. We enjoy picking up some supplies for a fresh home-cooked meal later in the day. My wife also appreciates when we pick up a couple of nice bouquets of flowers. They can certainly brighten our home. I particularly enjoy the food vendors. Many times when picking up the produce and crafting up a meal in my head, I’m starving. So having ready-made food is excellent. One of the better items at the Corona del Mar market is the freshly made guacamole and salsa. Among the several food vendors at the Lido Artisan Market that I enjoy, my favorite is Soho Taco. They were the winner of the OC Register’s “Best Taco” award in 2012. Yum! Once we’ve gotten food out of the way, we check out the blend of unique crafts and vintage pieces for sale. My wife claims that she likes going for the fruits… but I know that she loves to see some of the antiques. Both of the farmers markets are inviting either way. They aren’t too big, and the vendors are very friendly. 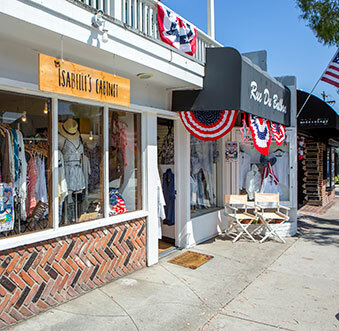 Getting through the markets takes about an hour, but of course being in Newport Beach, you never want to rush things. It’s just great to relax and enjoy the scenery!